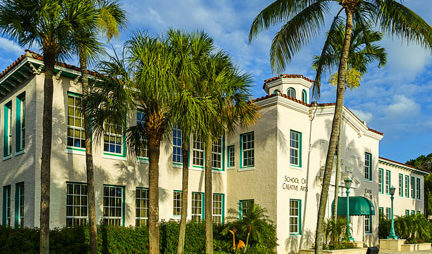 The Creative Arts School is located on the second floor of the Crest Theatre building. The School offers beginner through master level classes, for all ages, during fall/winter and spring/summer sessions. Art classes include drawing, painting, watercolor, pastel, collage and mixed media. Members of Delray Beach Center for the Arts have access to Members’ Open Studio opportunities throughout the year. Photography classes include introduction to digital camera use, fine art photography (beginning/intermediate/advanced/master) and digital imaging. Writing classes include creative writing (fiction/nonfiction), memoir writing and critique groups. Open readings are scheduled monthly. For questions or additional information, call 561-243-7922, ext. 478. Take a virtual tour of the photography classrooms and art studios, located on the second floor of the Crest Theatre building.